You are currently browsing the tag archive for the ‘flared deck stairs’ tag. 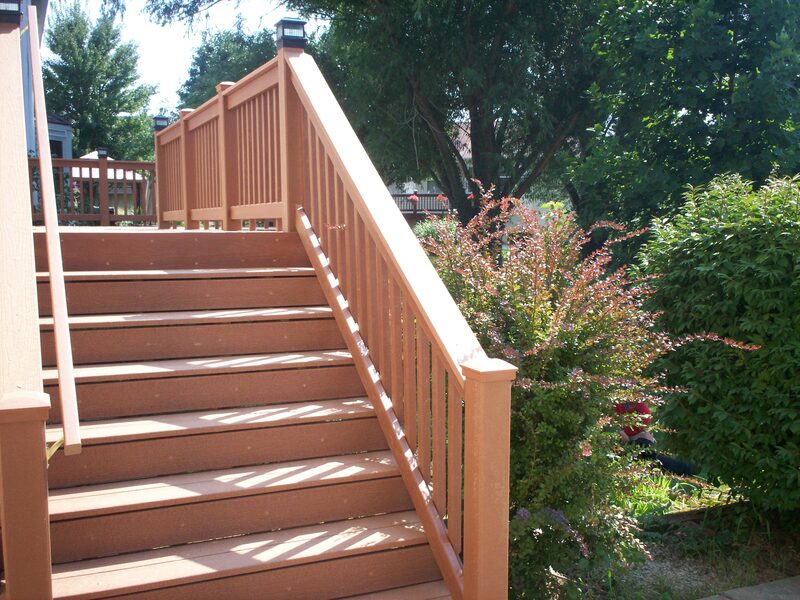 Just like deck railings, the stairs and steps for your deck are a major consideration in the design process. Stairs should be attractive by blending smoothly into the deck space or by providing an elegant element of contrast to the space. Nevertheless, deck stairs should also be functional and should ‘empty out’ into a logical area where people congregate and where traffic flows. In the end, the lay of the land and your home’s architecture will greatly influence the necessary deck and stair design. 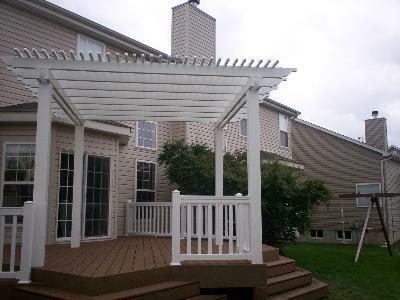 Just like railings, steps and stairs for your elevated deck, porch or screen room are a primary decision in the outdoor-living design process. Stairs can provide an elegant element of contrast to an outdoor space or seamlessly blend with an outdoor structure with matching materials. Nonetheless, steps and stairs should be functional, convenient and improve traffic flow. Full set, single direction deck staircase with a consistent step width. Full set, single direction or turning staircase with landings. Broad, angled, half-moon, or curved step designs for wide backyard spaces. Staircase or steps with a flared design. Stair design for your deck is crucial for traffic flow functionality, aesthetics, use of space and easy home and backyard access. Thus, the deck plan chosen will influence stair design and construction. And well designed stairs add your personal style to an outdoor living space, often becoming an impressive project focal point. 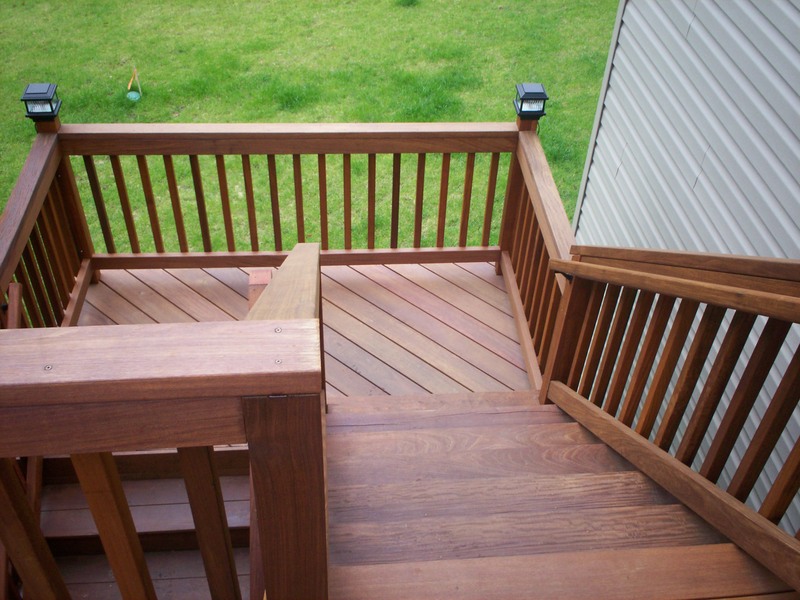 Your deck design deserves deck stairs… with stares! St. Louis Decks: Deck Stairs Deserving Stares! Who would guess that stairs for your deck design are crucial for aesthetics, traffic flow, function, access and space utilization? It’s true. Stairs are really important! Thoughtfully designed and constructed deck stairs will add impressive style to your home and a focal point for your outdoor living space. And equally important is the type of deck plan you choose which will, in turn, influence certain elements of stair design. A major consideration and integral part of the deck planning process is stair design. 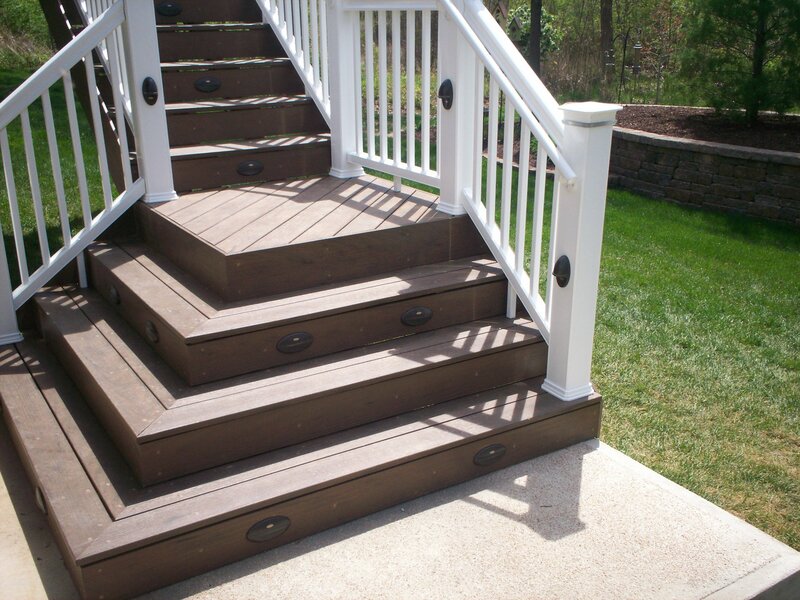 Considerations for porch or deck stairs include available space, position, number, and width. No outdoor structure is complete until the steps are an exact fit. 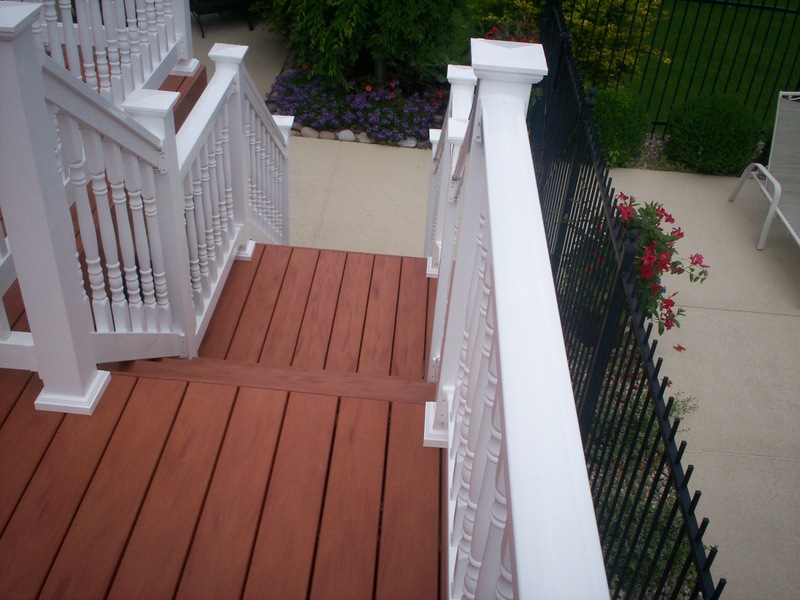 And often times wide steps are a fashionable choice for a porch or deck, home and backyard.